I now totally agree with you on this point, Roger. It took me a while to see this. "thinking about that underlying measure space leads to talking about hidden variables and all the other concepts that Lumo rights decries." This is nonsense. The fact that quantum mechanics is formulated in terms of measure spaces does not in any way imply the existence of hidden variables. In fact, we know that quantum mechanics is not a local hidden variable theory, but its mathematical formulation uses many concepts from probability theory, including measure spaces. "There is no underlying measure space, as I explain in my FQXi essay." This is completely incorrect. In quantum mechanics, the spectrum of any observable A has the structure of a measure space, and this measure space has a unique probability measure such that if you integrate the spectral values, you get the expectation value of A. One can use this probability measure to predict the probabilities of various events, and these predictions agree perfectly with experiments. Quantum mechanics is not a hidden variable theory. I agree with that. You can integrate to get expectation values for an observable A, and those values agree well with experiment. Where I differ is that I do not think that probability adds anything to that picture. It is not an essential part of the theory. It plays no part in the experimental evidence -- that is probability has no greater role in quantum experiments than it does in any other experimental science. And probability is not particularly conceptually useful. Some people like to think about probability, but such thinking leads to belief in hidden variables, and that is misleading. Suppose you have an isolated electron that is uncorrelated with your equipment. Quantum mechanics predicts that if you measure the Z-spin, you will get +.5 half the time, and -.5 the other half. So far so good. The trouble arises when you say that the electron has spin +.5 with probability .5. This sort of language suggests that the electron has a hidden spin value of either +.5 or -.5, but we don't know what it is until we measure it. But that is the hidden variable theory that we know to be wrong. There is no such hidden spin value, and there is no intrinsic probability. I say that probability is not necessary for any essential part of quantum mechanics, and that adding it only leads to faulty conclusions. If I am wrong, then show me the physics paper that shows that either the Universe or quantum mechanics is intrinsically probabilistic. Born's famous paper merely suggested probability as an interpretation in a footnote. And tell me why so many otherwise-intelligent people say such foolishness about hidden variables? I say that every one of them starts with some faulty assumptions about probability. If I am wrong, then tell me what is intrinsically probabilistic about the Universe, if not hidden variables? "probability has no greater role in quantum experiments than it does in any other experimental science." The difference between classical and quantum experiments is that in classical physics, the theory usually makes a precise prediction, and probability only enters the analysis because there's uncertainty in your measurements. In quantum mechanics, the theory doesn't predict a unique result in general. Instead, you have many different alternatives, and each occurs with a certain statistical frequency. "The trouble arises when you say that the electron has spin +.5 with probability .5. This sort of language suggests that the electron has a hidden spin value of either +.5 or -.5, but we don't know what it is until we measure it." I'm not sure why it suggests that to you. 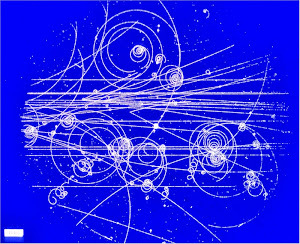 Saying the electron is spin up with probability 1/2 simply means that if we prepare the electron in its initial state, run the experiment, prepare it again in the initial state, run the experiment, and repeat this procedure many times, we will measure the electron as having spin up approximately half the time. That's how probabilities work in quantum mechanics. You seem to think that there has to be some underlying determinism in order for the rules of probability to apply. In most settings where we apply probability, that's true. For example, if you're tossing a coin, then there is an underlying deterministic theory, but this isn't needed in order to talk about probability. "There is no such hidden spin value, and there is no intrinsic probability." You see, you're equating "intrinsic probability" with the existence of underlying deterministic laws. That's a bizarre use of this phrase. I think it makes more sense to define an experiment to be "intrinsically probabilistic" if we can associate to it a probability space, and the values of the probability measure correspond to the statistical frequencies of various outcomes if we repeat the experiment sufficiently many times. I think that's what most physicists have in mind when they say that quantum mechanics is based on probability. "If I am wrong, then show me the physics paper that shows that either the Universe or quantum mechanics is intrinsically probabilistic." Since you are defining the phrase "intrinsically probabilistic" to mean that there are hidden variables, I have to agree with you that the universe is not intrinsically probabilistic. This was the outcome of Bell's theorem and related work. But this same work also shows that the universe is intrinsically nondeterministic. I think you may have been confusing these two ideas in your earlier comments. "And tell me why so many otherwise-intelligent people say such foolishness about hidden variables?" Presumably people tend to favor hidden variable theories because we're used to thinking that nature is deterministic. Quantum mechanics is not part of our everyday experience, but we try to interpret it in a way that resembles our everyday experience. No, there is no proof that the universe is intrinsically nondeterministic. There would be a Nobel prize for that. While most physicists believe in nondeterminism, not all do. An exception is G. 't Hooft. No, there does not have to be some underlying determinism in order for the rules of probability to apply. I do not know whether the universe is deterministic or not. But there does have to be some underlying measure space for probability to apply. That space might have deterministic or nondeterministic physical variables. I do not agree that classical physics is different because it makes precise predictions. Classical and quantum physics are equally able to make precise predictions. Both theories ultimately predict measurements, and measurements always have uncertainties. The mechanics work differently for classical and quantum physics, but there is not big conceptual difference. It is true that you can run experiments over and over again, collect results, and run statistical analyses. Your analysis might involve probability, variance, or chi-square. That happens in classical or quantum physics, or indeed, in any branch of science. Statistical tools are what you use to analyze repeated experiments. There is nothing special about quantum mechanics at all in this regard. You are right that we try to interpret QM in a way that resembles our everyday experience. If an electron spin measurement is sometimes +.5 and sometimes -.5, it is tempting to imagine some little demon inside the electron tossing a coin. Or some other imagined probability mechanism. But no such hidden variable is possible, and neither is the instrinsic probability. You have to start doing measurements before you see those spins. "No, there is no proof that the universe is intrinsically nondeterministic." Okay, strictly speaking this is true. But the works of Bell and Kochen-Specker put very strong constraints on the kinds of determinism you can have in quantum mechanics. "It is true that you can run experiments over and over again, collect results, and run statistical analyses... That happens in classical or quantum physics, or indeed, in any branch of science." But there really is a very important difference between classical and quantum mechanics in this respect. In classical mechanical experiments, you do have uncertainties in your measurements, but these uncertainties can be made as small as desired by using a bigger and better apparatus. In quantum mechanics, the nature of the predictions is different. The theory doesn't predict a unique result for every experiment, and this is not simply a limitation of your apparatus. The works of Bell et al show that we cannot have a deterministic hidden variable theory. But they also show that we cannot have a nondeterministic hidden variable theory, so they say nothing about determinism. QM does teach that you cannot measure the position and momentum precisely of an electron at the same time, even when using a bigger and better apparatus. Classical mechanics has no restrictions on measuring a point particle. But the difference here is that an electron is not really a point particle. It is more like a wave packet. Classical mechanics also has limits on measuring the position and momentum of a wave packet. So I do not agree that this is an important difference between classical and QM. As for making unique predictions, I do not agree that there is big difference there either. In classical mechanics, error bars in the measurements give errors in the predictions. Gauss invented the least squares method in order to make a range of predictions for the asteroid Ceres. Sometimes QM makes a completely precise prediction, such as when a system is oscillating between two eigenstates. Classical mechanics is never so precise. The idea that QM is different because it is probabilistic is a big myth. It is a shame the metric is often confused for the reality of what is being measured. If I measure a length in inches, my measurement will be in inches. If I measure a length in millimeters, my measurement will be in millimeters. If I measure in probabilities, Lo and Behold! yeah...what a surprise, my answer will be in probabilities. This is why it's silly to say "The universe is written in mathematics", It isn't, It is described in mathematics. Big philosophical difference between a thing itself and how you decide to measure or describe it. My point, which has actual extension is this, whether you are working with playing dice or particles, planets or galaxies, Math and measurement can be used to describe and mimic or approximate aspects of things, but they aren't the thing itself, and should never be confused with one another. Philosophy teaches us to be very careful with our terms so that this confusion between subject and observation can be minimized, and exploitation of this confusion can be quickly recognized for what it is: Deceit. Excellent comment. Yes, measurement is in mathematics, but that does not mean that the physics itself is mathematics. "The works of Bell et al show that we cannot have a deterministic hidden variable theory. But they also show that we cannot have a nondeterministic hidden variable theory"
Oh my, this statement is very confused. All hidden variable theories are deterministic. If you postulate a hidden variable theory, you're saying that quantum mechanics is an incomplete description of physical reality which must be embedded in some larger deterministic theory. That's the whole point of hidden variables. There's no such thing as a "nondeterministic" hidden variable theory. "QM does teach that you cannot measure the position and momentum precisely of an electron at the same time, even when using a bigger and better apparatus." I wasn't talking about the uncertainty principle when I said that uncertainties can be made as small as desired in classical mechanics but not in quantum mechanics. In classical mechanics, you can measure the position of a point particle to arbitrary precision using bigger and better measuring devices. In quantum mechanics, the position of a particle is encoded in its wavefunction, and there are many different positions where the particle can show up when you make a measurement. Using a better apparatus changes nothing in this case. "But the difference here is that an electron is not really a point particle. It is more like a wave packet. Classical mechanics also has limits on measuring the position and momentum of a wave packet." Yes, but in classical mechanics, any wave propagates though a medium consisting of lots of particles. So even if you can't talk about the "position" of a wave, there are more fundamental observables (the positions of the particles) which can be measured to arbitrary precision. 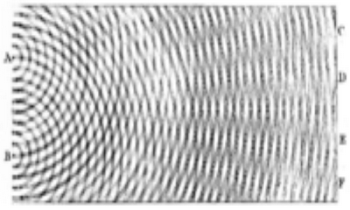 In quantum mechanics, the position of a particle is described by a wavefunction, and these wavefunctions are NOT classical waves. A wavefunction does not propagate through a medium. It's really just a mathematical convenience that allows us to predict probabilities. Some people like hidden variables as a way of getting rid of uncertainty. But others like them because they want to find an underlying reality, and they do not necessarily try to get rid of the probabilities. Here is an recent example of someone advocating a probabilistic hidden variable theory. You are talking about the uncertainty. That is what prevents better measurement of position. You can measure the electron fairly precisely at one instant but then the momentum is uncertain and so is the location at the next instant. I agree that the wavefunction is really just a mathematical convenience that allows us to predict probabilities. It is one artificial construct that is used to calculate another artificial construct. Neither construct is directly observable. They are both conveniences.